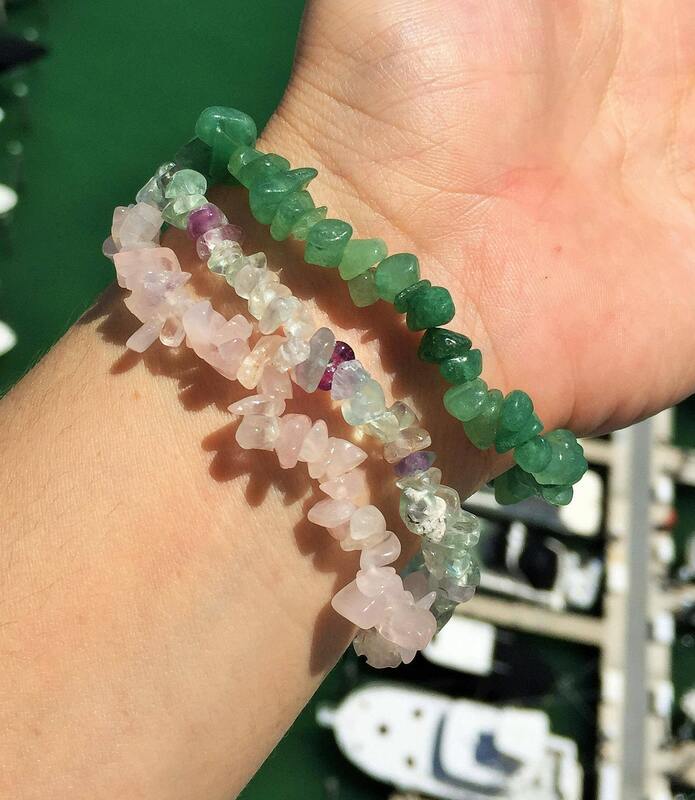 Love Bracelet Set Designed to open and clear your heart while soothing your emotions with this combination of rose quartz, green aventurine, and fluorite balance and strengthen your heart chakra. This crystal set encourages harmony and kindness in relationships and during group and family activities. Use to help heal a broken heart, balance hormones and calm aggressive energy. This listing is for THREE (3) Chipped Bracelets. Due to its elasticity, will fit all wrists. Beautiful bracelets! Thank you for replacing the one that broke! These are adorable and I wear them everyday! !